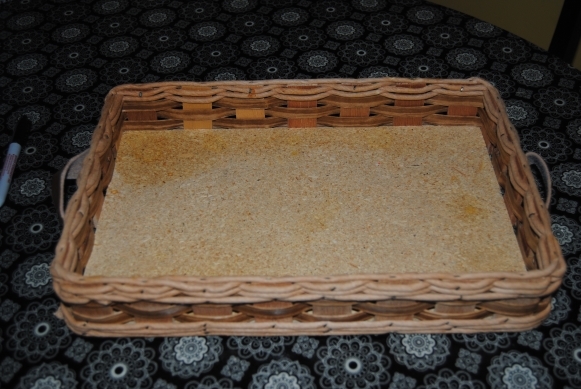 While I was out thrifting yesterday, I picked up this great little wicker tray with a hard unfinished wooden bottom, and two handles. This tray was stamped underneath as made by Corning. It was a bit of a mystery as to what this tray was used for in its current state. 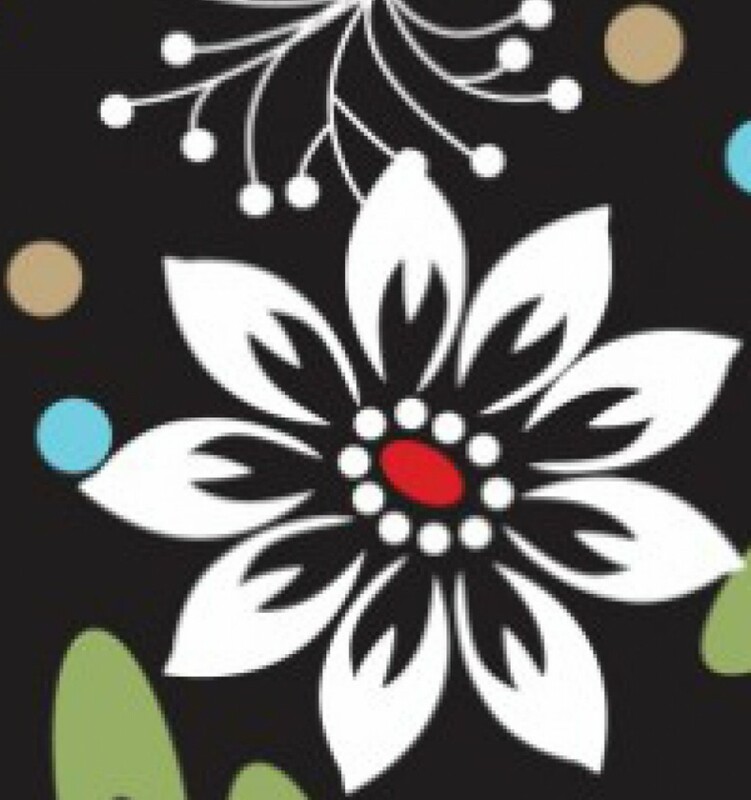 It was certainly priced right and stamped with a red tag marked 50% off and cost only $1.00. 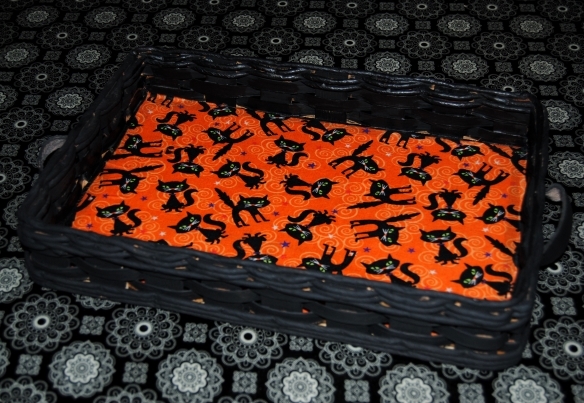 I had an idea since it is close to Halloween to repurpose this item into a Halloween candy tray. Using a flat tray instead of a deep one, enables the kids to pick the candy that they like best. 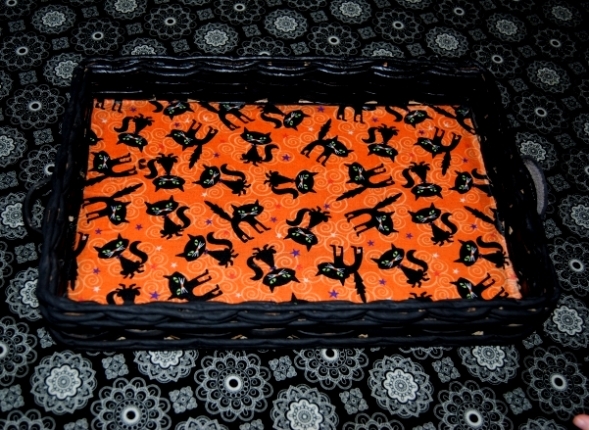 I had some great left over Halloween themed spooky black cat fabric I purchased at Joann Fabric. The same fabric I used for DIY Upcycled Decorative Halloween Lamp. I gathered the materials needed for this project. First, I painted the tray areas that would not be covered by fabric with a medium-sized paint brush, I used a couple of coats and allowed it to dry thoroughly between coats. Once dry, I traced the bottom of the tray on to the back of the fabric with the black fine tipped marker. I carefully cut the fabric out with a pair of scissors. 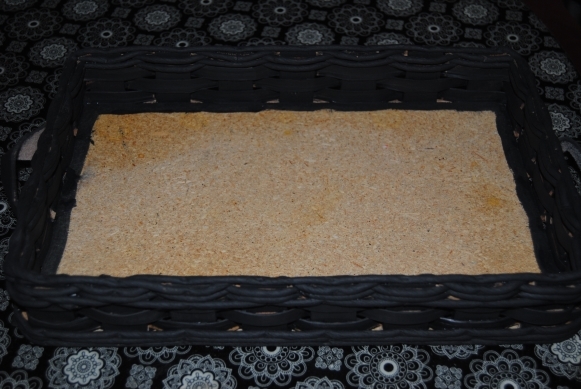 I placed the fabric aside and applied Mod Podge to the tray surface with a foam craft brush. I carefully placed the fabric on the tray surface and smoothed out any wrinkles with my hands. I allowed this to dry and then applied Mod Podge over the painted areas, and the fabric surface. Now the hubby and I can pass out candy in spooky black cat style! This can also be used as a serving tray for ghastly goodies. What crafts do you have planned this Halloween? I can solve the mystery of this tray. It was designed to hold a 13×9 glass Corning casserole dish. I have this exact item in my home.